The product potential of Microsoft Powerpoint when it comes to presentations is quite remarkable. Undeniably, this slide show presentation software is used in almost all industries by different age brackets and social class. This 2015, Microsoft has introduced a new breed of the product including the Office 2016. This features a whole new PowerPoint. It is packed with new and exciting features and functions that would surely elevate you and your audience’s slideshow experience, whether you’re a Mac or a Windows user. 1. 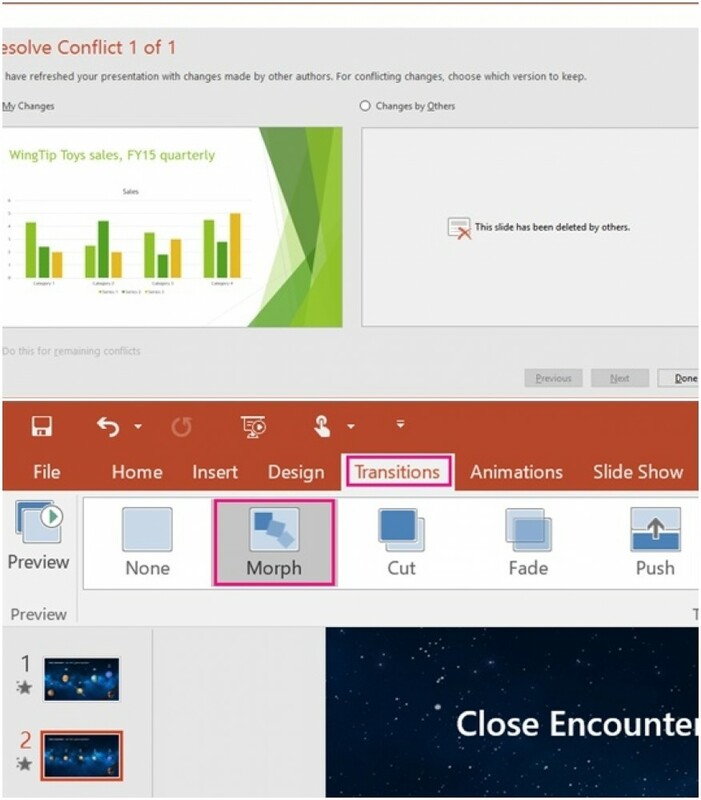 “Tell me what you want to do” search box - this feature will assist you while working within Powerpoint by finding several functions within the application. 2. Morph - this is the new form of transition introduced in the software. This feature will surely enhance the simulation of your presentation. 3. New Design Ideas - the layout of a presentation often depicts the nature of a slide show. These new designs can be an edge as you can customise the photo of the background. After choosing an image for the project, PowerPoint will automatically give you an option on how you want you want your layout to look like. 4. Insights - this one will serve as your dictionary while using the application as it will give you definitions of the words that you wish to be interpreted. 5. New Charts - Microsoft PowerPoint 2016 presents new charts namely: Histogram, Box and Whisker, Sunburst, Histogram, and Waterfall. These can entice the interest of the audience through its graphic and numerical representations. We hope that this article has given you ideas when it comes to the latest features of Microsoft 2016. Enjoy making slide shows! Tip: If your Microsoft PowerPoint is not yet the 2016 version, purchase and download the product at an affordable price from www.downloadmsoffice.com. Click here to buy Microsoft Office 2016!